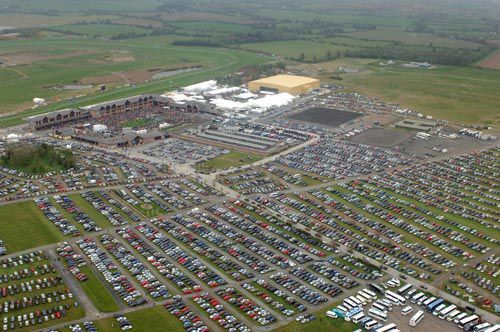 Punchestown is one of Ireland's top National Hunt racecourses and stages an important five-day Festival at the end of each season in late April. Punchestown has a long tradition of horse racing dating back to 1824 and boasts modern facilities following a £9m re-development in 1998. The race track is an undulating 2 mile right-handed oval. There is also a cross country banks course containing stone walls, grass banks, brush fences and hurdles. This course is jumped in both directions. Punchestown is located close to the town of Naas in Co. Kildare, 20km south of Dublin.